We've had technology issues this week. Our internet provider had to perform emergency repairs, which shut us down for awhile, but we're back up and running now and I can finally share some cottage love with you. Today we're visiting Penlan Cottage located in the Black Mountains of Wales. 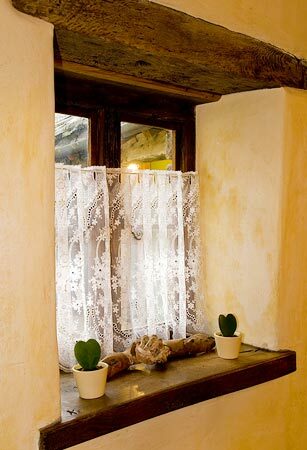 This deep well window is delightful. 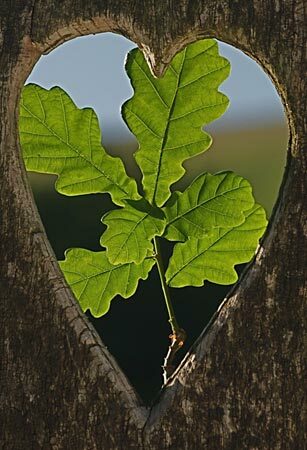 Leaves in a heart. Oak, perhaps? Love the barbed wire heart. 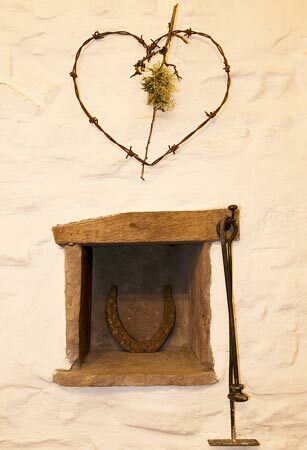 This vignette inspires me to repurpose the old horseshoe I discovered on our property. 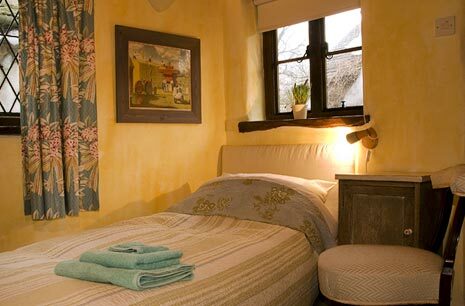 Great lime-washed walls in the cottage. Lovely backyard overlooking a duck pond. 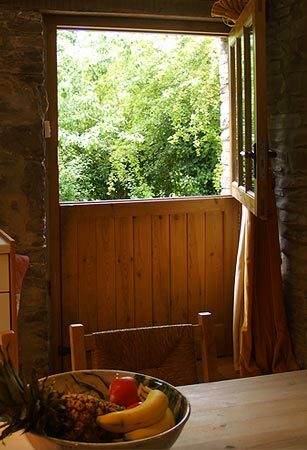 Another stone cottage in Wales: Walnut Tree Cottage. Sometimes understated elegance is the best. "Stable" or "dutch" door. Whichever you call it, it spells cottage. 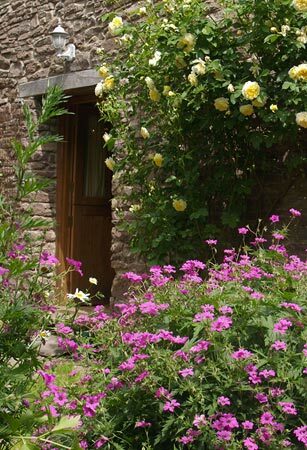 A very pretty cottage garden just outside the doorway. 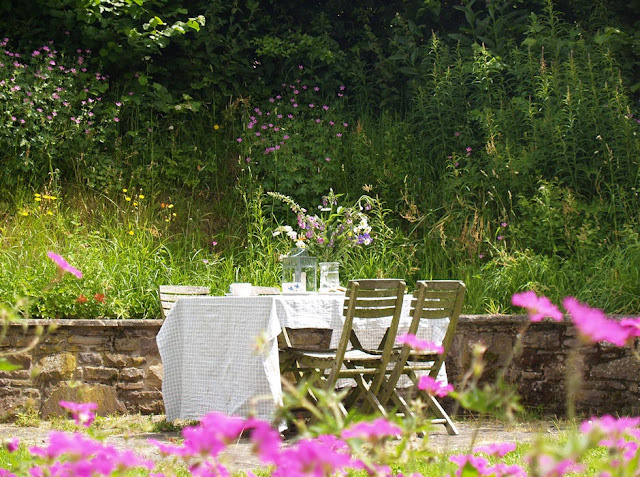 Eating outdoors is one of summer's delights, and this lovely setting is especially inviting. And once I get started on gardens. . .well, it's hard to stop. 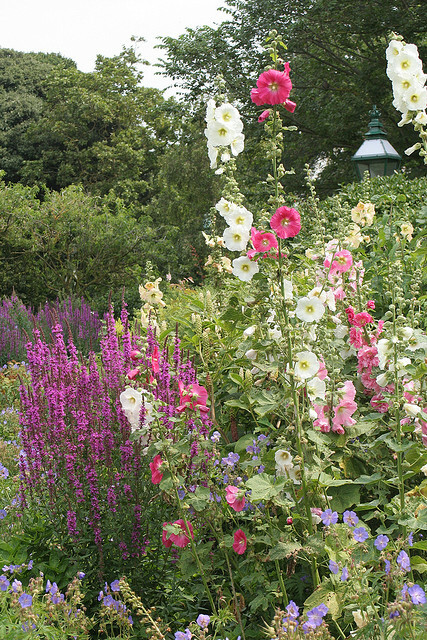 This garden has hollyhocks, which personally I think belong in a cottage garden. 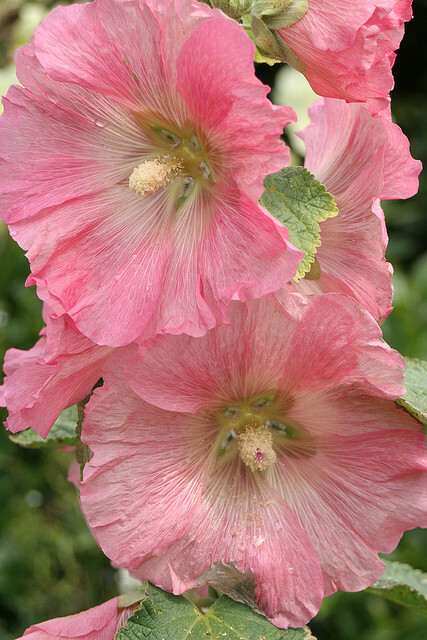 I first became acquainted with hollyhocks in a cottage garden I designed in Illinois. 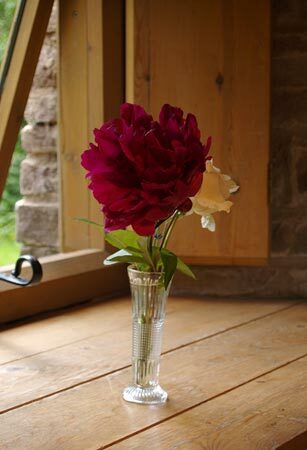 They are a wonderful old-fashioned flower. When we visited Taos last summer I discovered hollyhocks everywhere. The climate must appeal to them. Most of my gardening these days is confined to containers outside our shop. I purchased the little wagon at a friend's garage sale last week. He made it out of solid oak. It makes transporting the plants into the shop for the evening very convenient. I love it. Oh so beautiful. Every time I open your blog and see your gorgeous header, I have to smile. Thanks for sharing all the lovely photos. You're so sweet. Thank you Anne. By the way, I love your bath and laundry room makeovers. Great job! What an abundance of lovely photographs! I think you may have given me an inspiration with your barbed wire heart photograph. 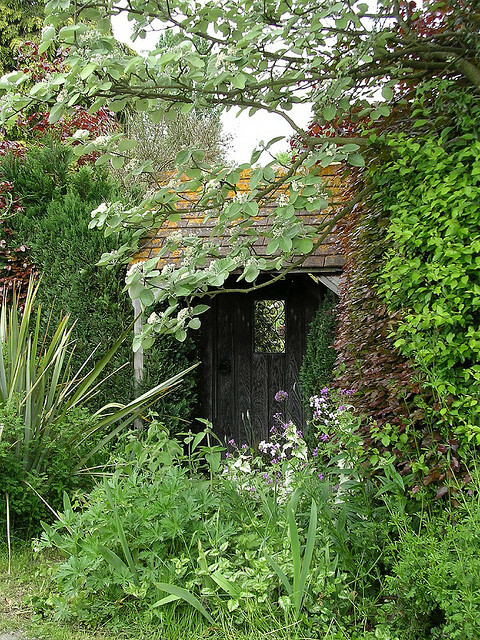 The garden pictures are amazing and I'm smitten with the first image with the birds. Thank you, Lisa. I tried to leave a comment on your blog, but couldn't get the comment box to appear. So I'll tell you here that I like your Iris painting, but my favorites are your pink roses. Especially "Pink Ribbons". It is exquisite. I am partial to pink roses, though, so that may have something to do with it. :) Blessings. Oh how I love your blog. 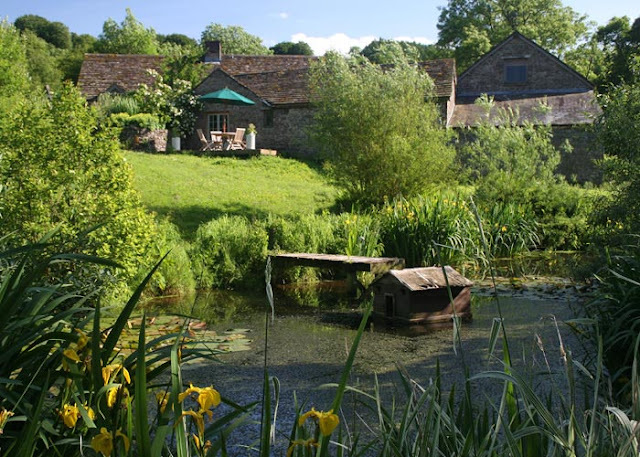 Is the banner a picture of your cottage.My heart skips a beat for every cottage you show. What a beautiful blog, Nancy! I LOVE your header ... and the Wales cottage photos are truly lovely. I spent a year and a half in England while working on my master's degree, and I fell in love with the cottages in the UK, too. I'm your newest follower. 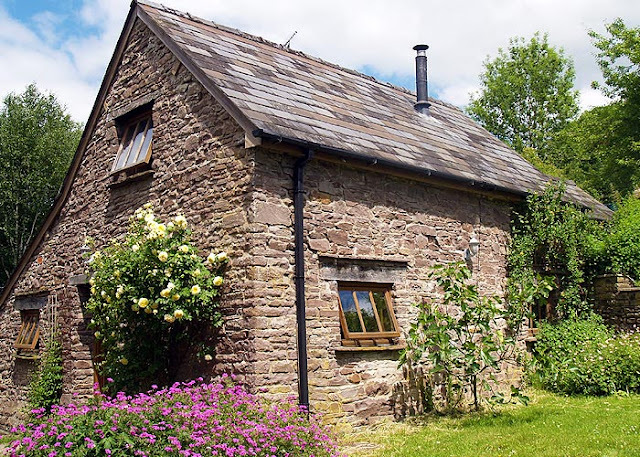 Awesome post on stone cottages and gardens, both a favorite of mine! I am following your blog already, but I just started a new blog that I think you might enjoy! Stop on over, if you get a chance! Sure looks like a lovely area to visit. Yes, I'd like to get there some day. Thanks for visiting and commenting. so many treasures to be found on your blog! 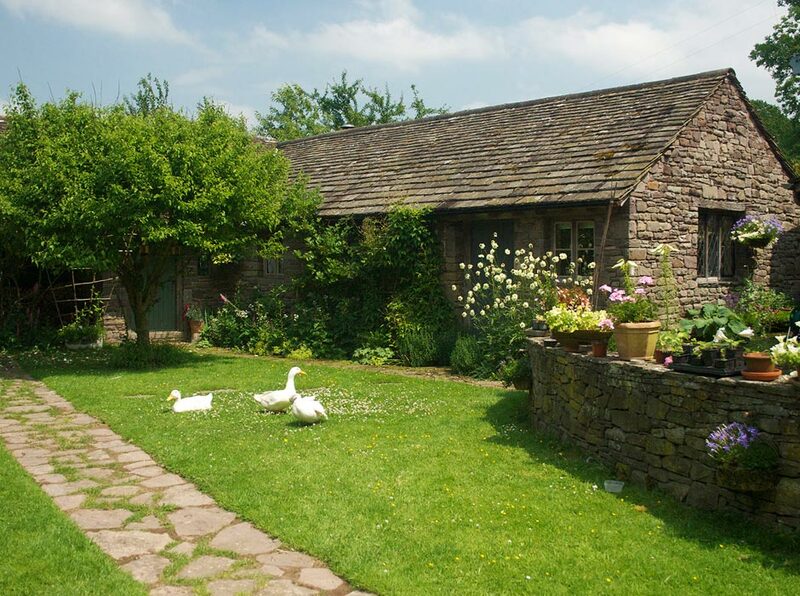 Especially those old stone walls, they have such character.